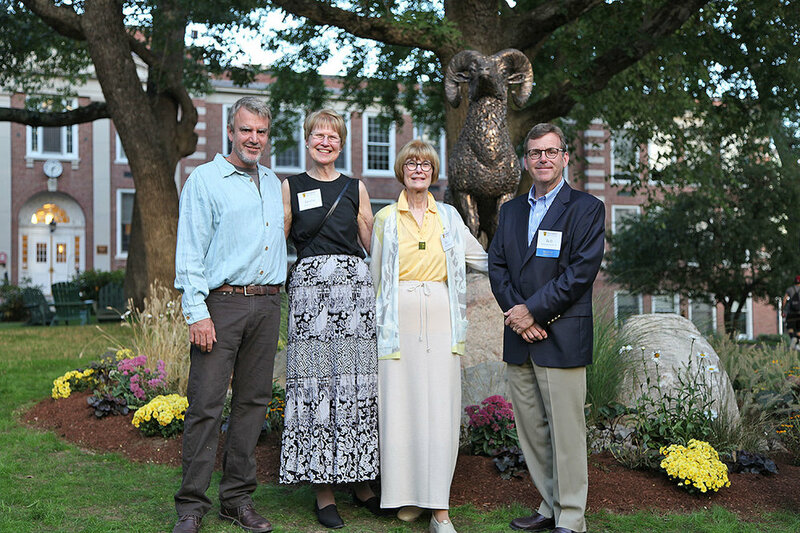 2016 - The beginnings of the Ram for Framingham State University. 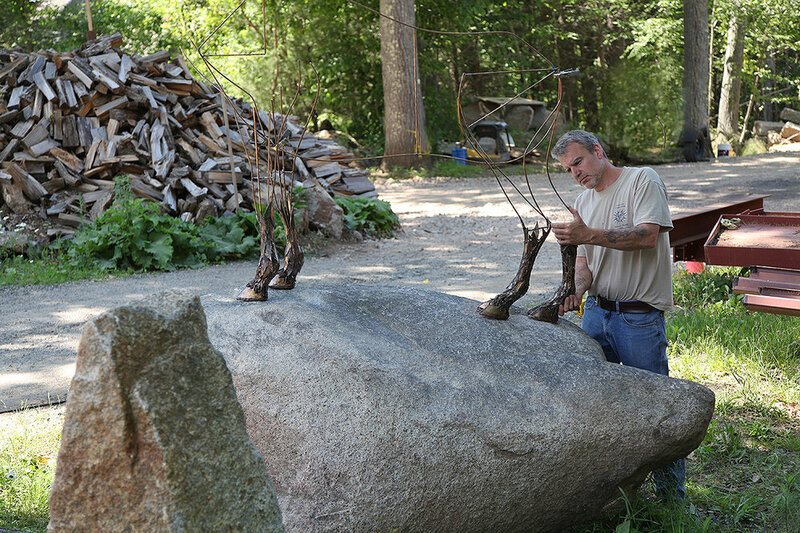 The hooves were made individually and leg framing was extended upward. The four legs with feet attached were then set up on the boulder. Proper distance between the hooves and general body angle was achieved with careful planning. This boulder we found is perfect for this piece. It feels like this stone could be resting on the edge of a mountaintop. When the piece is finished, you’ll see what I mean. I want this piece to be strong, driven, and most of all determined to achieve. So pleased to have this opportunity to create a mascot sculpture that will inspire the next generation of Framingham graduates. It’s an honor and a pleasure. 2016 - Ram mascot for Framingham State University in Massachusetts. Textured bronze Ram resting on a boulder picked perfectly for this piece. People comment on how the boulder feels like it could be resting on the edge of a mountaintop. The Ram is strong, driven and most of all determined to achieve. So pleased to have this opportunity to create a mascot sculpture that will inspire the next generation of Framingham graduates. It’s an honor and a pleasure.